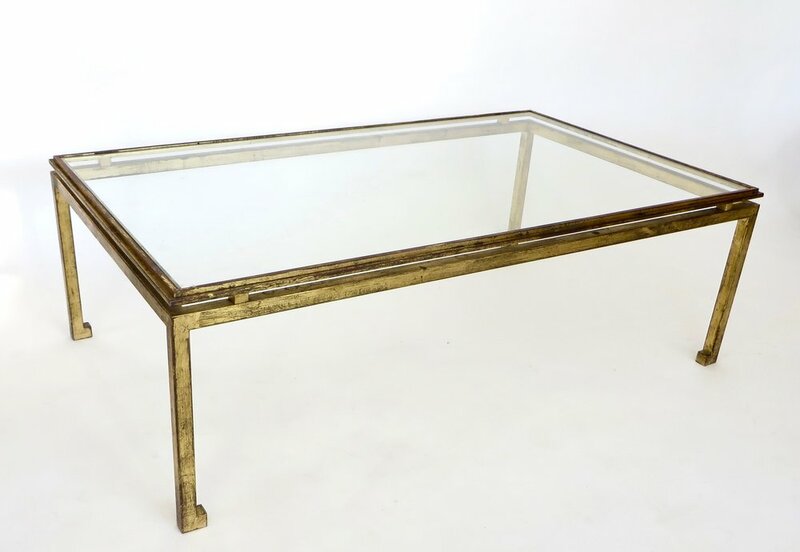 Maison Ramsay superb quality, patina gilded wrought iron, rectangular coffee table with a St Gobain glass plateau. See detail photo with St Gobain glass insignia. 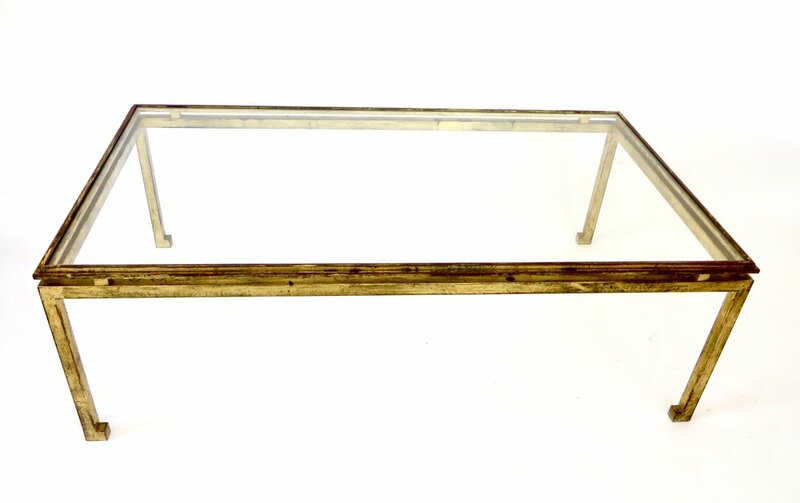 The legs are solid iron, 1 inch thick not tubular and very heavy. The foot is 1.75 inch wide. Fine detail on the entire frame. Classic French Maison Ramsay iconic design with wonderful patina. Slight Asian motif references.